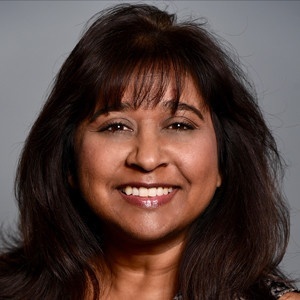 Mrinalini (Lani) Ingram is the VP of Verizon’s Smart Communities organization, leading the company’s digital transformation of cities, universities, utilities, and sports & entertainment organizations with a focus on driving economic growth, enabling environmental sustainability, and enhancing quality of life for citizens, students, and fans on a global scale. I love that cities left and right are clamoring for bragging rights to be the smartest city in the world. I love that disruptive technologies like 5G, artificial intelligence (AI), and augmented reality (AR) are changing the way we all look at infrastructure planning. Autonomous vehicles today could do for mobility what the steel plow of the 1800s did for farming. But what does all this new technology mean on the human level? How should we measure the successful deployment of a smart city? Is it the number of connected devices in an intersection? How many video cameras are installed along the streets? How fast the analytics are? Or, are we forgetting about the most important metric? Are people in the city happier? Are roads less congested? Do citizens feel safer? Are they safer? Does that metric apply to more than just the affluent areas as cities strive for digital inclusion? The concept of Humanability—giving people the ability to do more—is the cornerstone of everything we do at Verizon. Here I’d like to share my top five list of how we can create more sustainable, livable, and enjoyable communities as cities build out their infrastructures. This is number one on my list for a reason. Sometimes companies and cities get so excited about technology that they forget to ask the most important questions. What do members of the community need? What problem will this technology solve? What city metric can the solution move? And then listen to the answer. It’s not a question that you ask once, it’s a narrative that you keep coming back to and keep checking your solutions against as you develop them. Put the competitive analysis report away for a while and attend some city council meetings. Listen to what the residents are excited about, what they’re complaining about, what they’re desperate to see change. 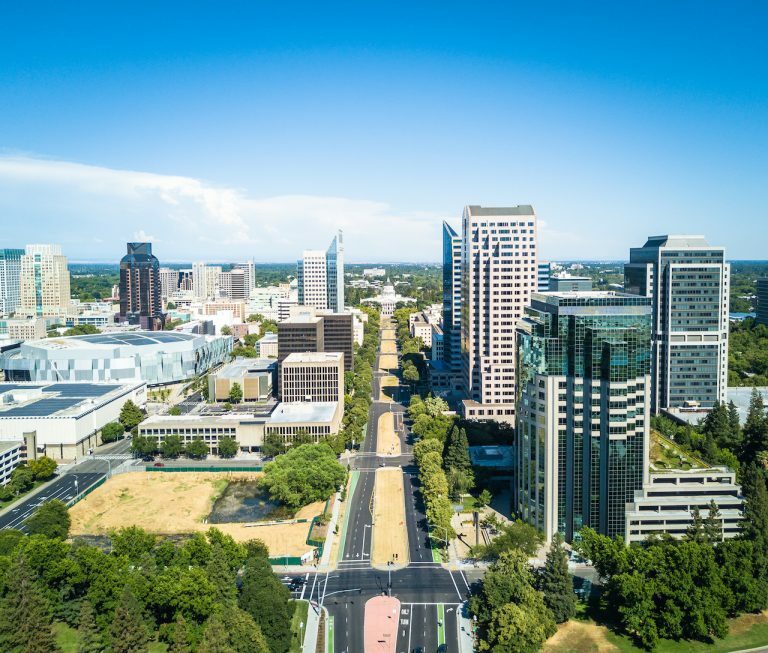 When we partnered with the City of Sacramento, for the first several meetings we didn’t bring a single technologist with us. We sat on the same side of the table as the city, and on the other side of the table were the pain points and goals. We listened to them. We then jointly strategized about how we could not just solve problems, but deliver solutions that would delight the community. Wayne Gretzky’s famous quote—as passed down from his father: “skate to where the puck is going, not where it has been,” is especially relevant here. When you’re planning smart initiatives, build for where the technology trends are headed so that your infrastructure can handle emerging solutions as they become available. Today we should be thinking about tech like 5G, autonomous vehicles, AI, AR, VR, blockchain, and drone delivery, to name a few. Lighting infrastructure is a perfect example of futureproofing. As cities are swapping out traditional high-pressure sodium street lights with energy-efficient LEDs and smart nodes that can remotely monitor and control the lights, don’t just be thinking about a smart lighting solution. Think about the position those streetlights are in to support so much more, like intersection safety analytics, parking optimization, and gunshot detection. When you think about it in those terms, the equipment you install when swapping out the lights might be different. Futureproofing the infrastructure comes with a couple cautions, however. First, build the right solutions that leverage the right tech. Not every solution needs a 5G backbone. Some solutions, like controlling the lights, perform just fine with a longer than 1-millisecond latency. Second, don’t build tech for tech’s sake. What’s good for one city may not apply so much to another, or vice versa. It’s critically important to ensure that you’re building solutions that cater to a community’s needs. And as a city, be wary of any company that wants to sell you a suitcase full of solutions without sitting down to assess your particular needs and the applications that can meet them. Which leads me to my next point. I like seagulls just as much as the next beachgoer, but… they fly in, make a lot of noise, dump stuff on you that you could have done without, and then fly away. I don’t want to be a seagull. I want to be a long-term partner for communities. Because when you’re a partner, you have skin in the game. At Verizon we are committed to the communities we operate in for generations and we don’t just sell technology and then place the burden on the city or partners to implement them. We are with the city from planning, through design and selection, through deployment, and even the long-term operations. We understand that many times the smart city solutions require careful change management at the industry, city, and community level. It doesn’t matter how big or small you are as a company or as a city. What matters is the long-term relationship you can cultivate with your customer, your partner, or your vendor. When I first started out in the smart city industry, there was a sense that technology could be the answer to areas that ailed us. But tech in isolation doesn’t really solve the problems. As we moved more from the smart city evangelism phase into actual execution, we realized that tech was only part of the success story. Which led me to what I call the Thirds Approach: the idea that a successful smart city deployment is one third technology, one third physical integration, and one third change management. Technology is just a piece of the pie, in other words. Building out a smart city is a very physical process that includes both physical integration and change management. With physical integration, there’s dealing with permits, right-of-way, scheduling bucket trucks so city workers can climb up light poles, planning traffic closures, digging up asphalt. With change management, it’s critical to consider how to manage the transition from the old way of doing things to a new way that also helps citizens or government users to adapt to the new technology. Relatively speaking, smart cities is a new industry. We’re building the airplane while it’s flying. Which means that we—cities, corporations, citizens—are in this together. Long-term partnership with an emphasis on trust and co-creation have become increasingly essential. One of the things I love about being in an industry like smart cities is that we are all working towards the same goal—a goal that is based on trying to make the world a better place. As such, we tend to work together in this industry better than many I have seen in the past. The lines between competitors and partners can be increasingly blurry. And as the industry is still so new and unpredictable, we seem to get that we need to trust each other and have our backs when things get tough. We will be successful only if we support each other. Smart cities is not for the faint of heart. It requires sticking around for the good, the challenging, and ultimately, the better. Personally, I feel so lucky to be in this industry from the time of its inception through today’s critical juncture when we are working on real scale. How often does one have the opportunity to not only be a part of creating an industry, but being part of an industry that has such a direct impact on improving the way we live, work, play, and learn? Very well written, as I make my home a smart home i cant help but get excited to be a citizen of one of these smart cities. It will definitely be an exciting time when our cities are able to stay connected to each other. Just as a comparison, see how fruitful and life changing it has been since humans have been able to connect. Smart cities will not be only futuristic but an arena for the stem kids of today to come up with ideas and projects to innovate even further and possibly accelerate the space explorations. I must add, the thirds approach is fantastic and we can build and evolve while the infrastructure is being built and companies like Verizon are working towards providing the required bandwidth and speeds. I look forward to reading more of your articles and maybe even chat on making the jump into this rapidly growing industry.